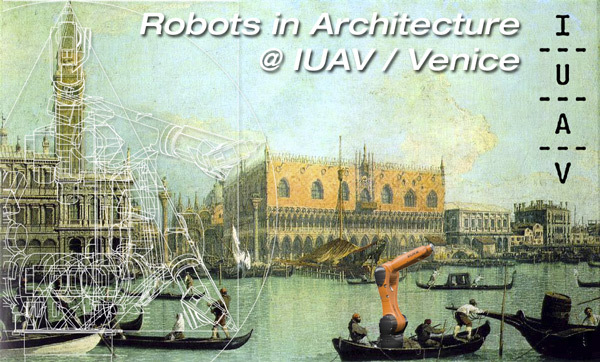 Association for Robots in Architecture | Robots in Architecture & KUKA Agilus in Italy! Robots in Architecture & KUKA Agilus in Italy! Fabio D’Agnano has invited us for a lecture and workshop for the Master Architettura Digitale program at IUAV in Venice, Italy from April 26th to 27th. A KUKA Agilus robot is coming with us, possibly requiring heavy rowing from the gondoliere.